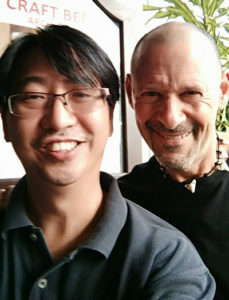 Pak Kopi, aka Asher Yaron, has spent the past many years studying, researching, and practicing many different techniques and processes for the most widely used psychoactive drug on the planet, Coffea Arabica, or Arabica Coffee. Through extensive testing his discoveries and theories have often been opposed to the beliefs and practices of the coffee industry. 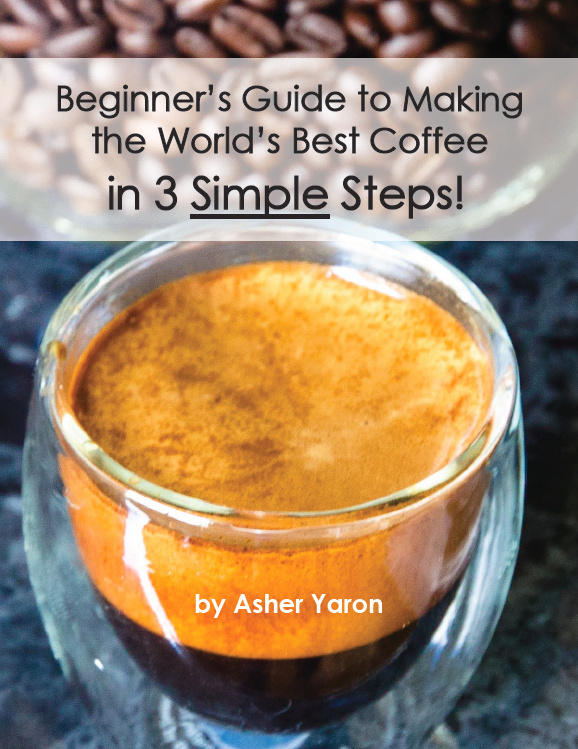 Mr. Yaron has over ten years experience as a coffee roaster and believes that the roasting process (specifically, eliminating the time between roasting and consuming) is the key to creating the best coffee. He has invented his own commercial coffee roasting machines that he has been manufacturing and selling to cafes and chefs around the world. 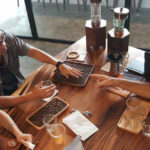 For the past 7 years he has been promoting micro-roasting and gave a TEDx talk in 2012 in Ubud, Bali, that is one of the most popular coffee talks of all time. 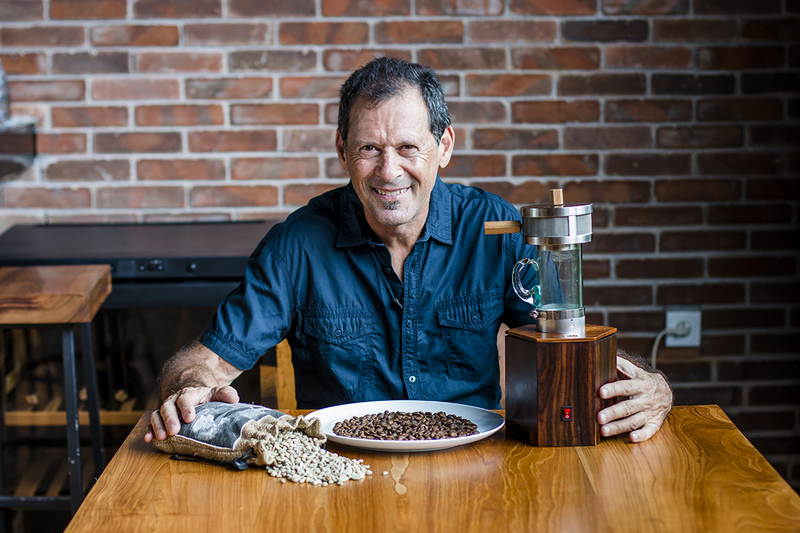 For the past 3+ years he has focused on bringing the roasting experience directly to the consumer in their own home. 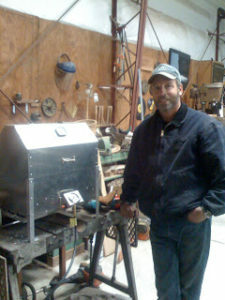 His latest project has been the creation of a home coffee roasting machine he calls “The Power Roaster”. 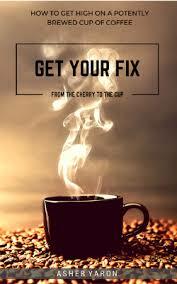 Coffee cannot be fully understood without exploring its effect on human consciousness. 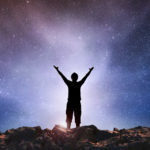 Our minds are focusing mechanisms that have the ability and power to focus our thoughts and attention upon what we want to create (manifest) in the physical world. Arabica Coffee assists us in this process, and the purer the form that we are consuming, the more powerful and beneficial are its effects. …after making an espresso with his La Pavoni machine using fresh roasted coffee (roasted in their hot air popcorn popper) his new tenants presented him at lease signing of his newly renovated commercial property. 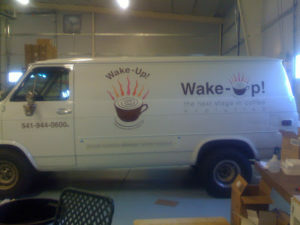 …with family and friends and realization that a coffee roasting business is being born. 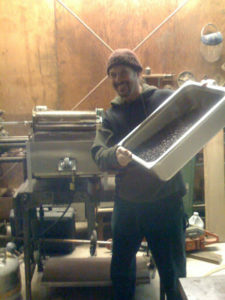 …with the help of friend Rourke Ball, and the first batch roasted on that machine . 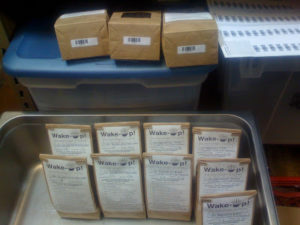 The creation of Asher’s new fresh roasted coffee brand, “Wake-Up! Coffee”. Full-size 1982 Chevy van originally purchased for $250! 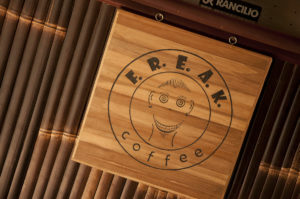 …involving his 2 products: fresh roasted whole bean coffee and cold brewed coffee. …after being away for 3 years. He and his family decide to move to Bali permanently where Asher plans to start a coffee company in Bali dedicated to creating coffee “from the cherry to the cup”. They liquidate all remaining possessions on their decision to leave the US. …starting at the Green School. 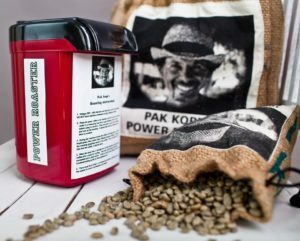 He sources local 100% Arabica green coffee from the mountains in Bali and contracts a local roaster to roast and deliver same-day. …based on his Oregon-made prototype. His new machine is bigger, better, stronger, and more durable than his previous machine. …(Fresh Roasted “Enak” Arabica Kintamani) along with longtime Balinese friend Nyoman Wirata. 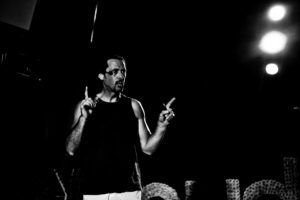 Asher gives TEDx talk: “What you didn’t know about coffee” at 2012 TEDx Ubud. 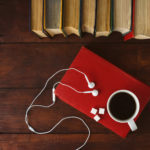 His perennially popular talk is currently one of the most popular YouTube videos on coffee with nearly 1.5 millions views, inspiring many to try home roasting in this Fourth Wave of coffee consumption. View Asher’s talk here (and read the full transcript)! 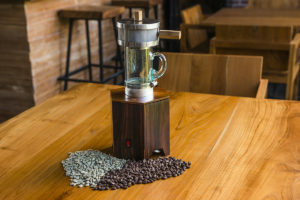 …expanding their offerings to include coffee, and specifically Asher’s FreshRoast Coffee System (green and sustainable with ZERO waste). Asher moves to Singapore for 3 months. … and brings with him the first Power Roaster prototype machines to experiment with. in his Facebook account that were flagged as spam. He discovers that 95% of them are from people who saw his TEDx talk and were inspired to contact him. Intuitively knowing that there is a lot of value in these messages, he personally answers each message which takes a total of 38 hours. Among these messages is one from Raymond Lay, a Singaporean who is stunned that after 2 years Asher is finally returning his message. Ray purchases one of Asher’s early prototypes and the two begin a relationship that culminates, 3 years later, in the co-founding of Pak Kopi, Pte. Ltd.. a Singapore based limited partnership. Trips between Bali and Singapore and daily talking and comparing notes characterize this co-creative process. With Asher’s roasting experience and Ray’s technical background, the pair set-out to create the best performing home roaster at the best price point. Asher goes on later in 2018 to revise and rename the book. See below. 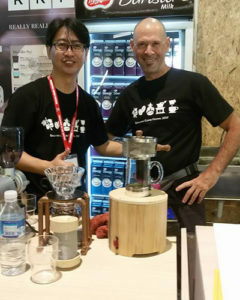 Asher and Ray demonstrate their Power Roaster prototype machine at the Singapore Coffee Festival. For 4 days straight their roaster roasts every 20 minutes for 10 hours a day, for 4 days in a row. In addition, they host 3 coffee roasting workshops for Festival attendees. They prove, to themselves, their machine works amazingly well and is very close to launching it on the market. 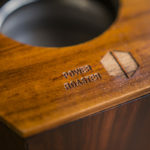 The Power Roaster is launched on Kickstarter! The project fully funds after 40 days and Asher and Ray have their first orders for 120 machines for delivery by September 2018. Check out the Power Roaster Kickstarter page. The Power Roaster campaign beat its target by $2000! 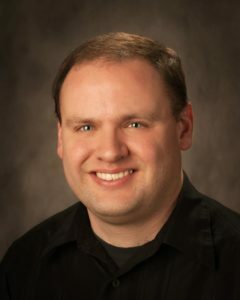 Brian has been a supporter and fan for months and brings his coffee enthusiasm as well as his marketing and web building expertise to the company. Earlier in January 11, 2018, Asher collaborates with good friend and professional writer / editor Scott Fields on his book project. 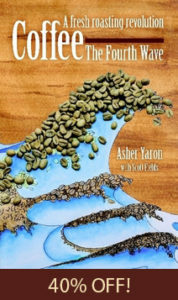 Changes the name of the book “Get Your Fix” to “Coffee-The Fourth Wave, a fresh roasting revolution!” Get your copy at 40% off here!